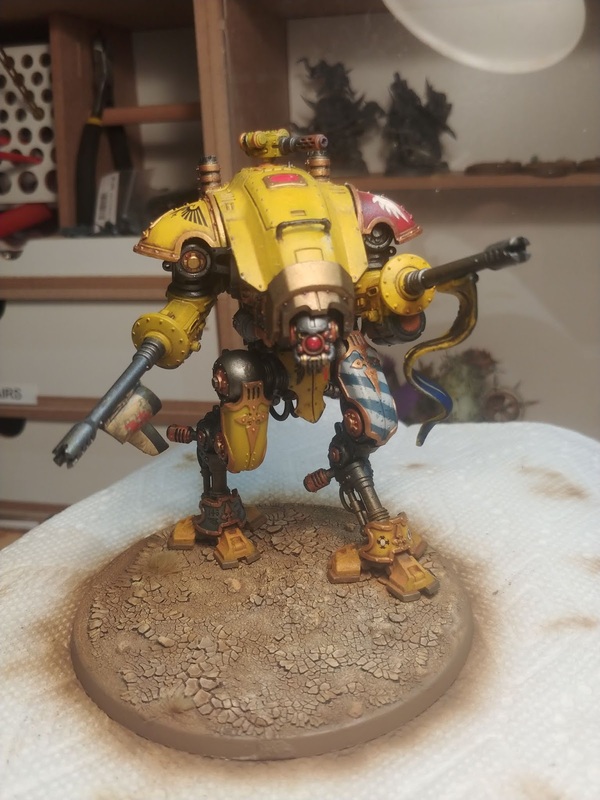 Happy Halloween and hearty thank you to everyone who participated in Dreadtober, there were tons of awesome stompy death machines painted over the last month! Inspiring and amazing work all around, and I have thoroughly enjoyed the breadth of projects undertaken by all you fine folks. 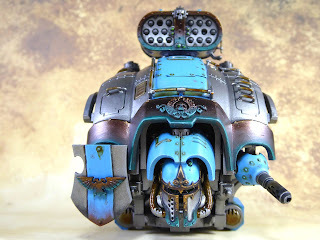 On with the pics! Project: Either paint a Redemptor Dread and an Armiger Helverin that are already built OR build and paint a new Armiger Helverin. Haven't decided yet. Model(s): Prodos games AVP alien King, Tyranid carnifex (repaint), Tyranid Old one eye(repaint), Leviathan dreadnought. I'll keep an eye out for folks posts over the next few days, and as always let me know if I've missed anyone! A fantastic job all around, happy Dreadtober, everyone! 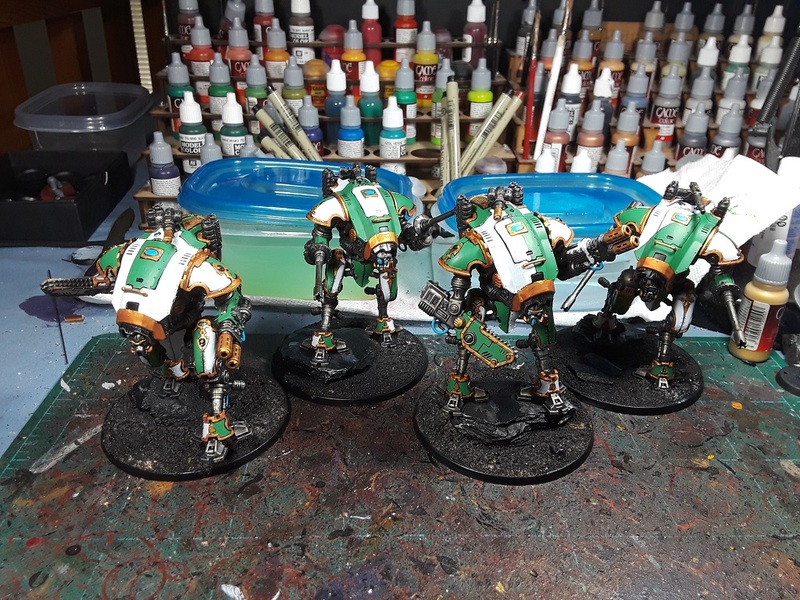 Things were pretty hectic and I apologize for not getting an update sooner - Tons of awesome work happening out there this week in Dreadtober! Dave M's Legio Custodes Contemptor-Galatus Dreadnought is stunning! 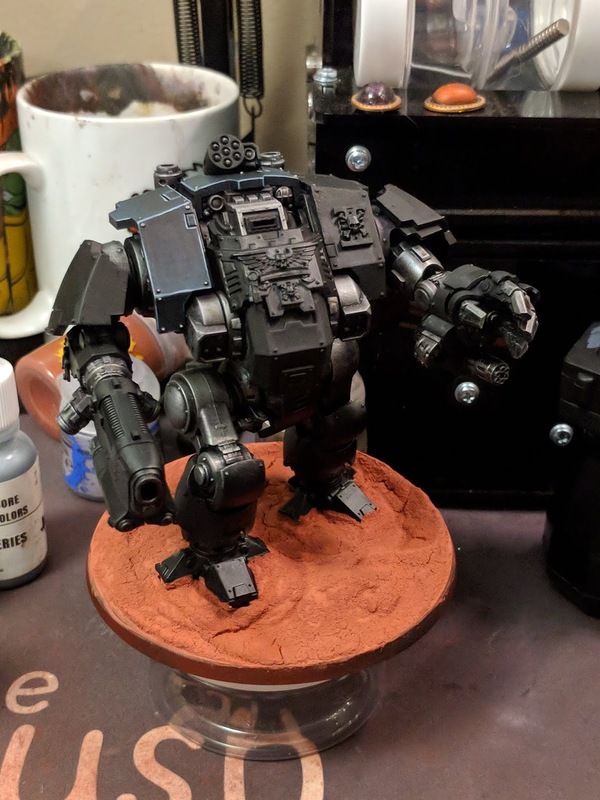 Alexis W's Redemptor Dread and Armiger Helverin are coming along nicely! 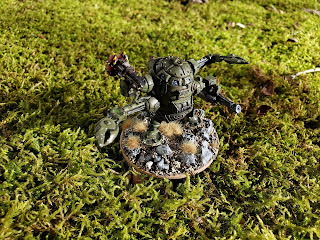 Siph Horridus's Forge World SM Ironclad Dreadnought stomps across the finish line! 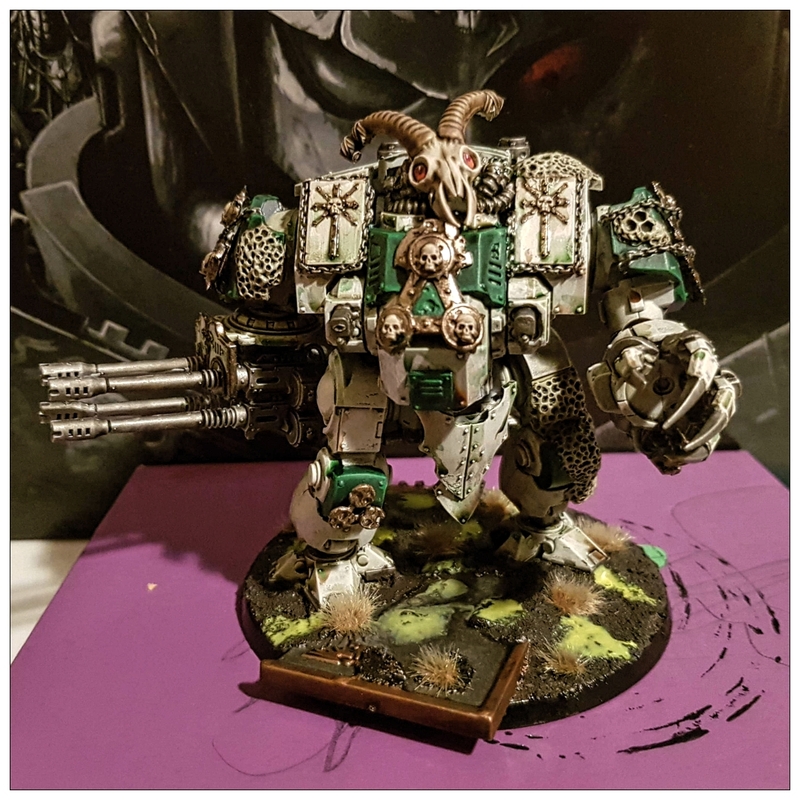 Rejects of Anvilus (or Spinny on heresy30k)'s Death Guard Leviathan is a thing of beauty! Mordian7th's House Vyronii Armigers also crossed the finish line this week! 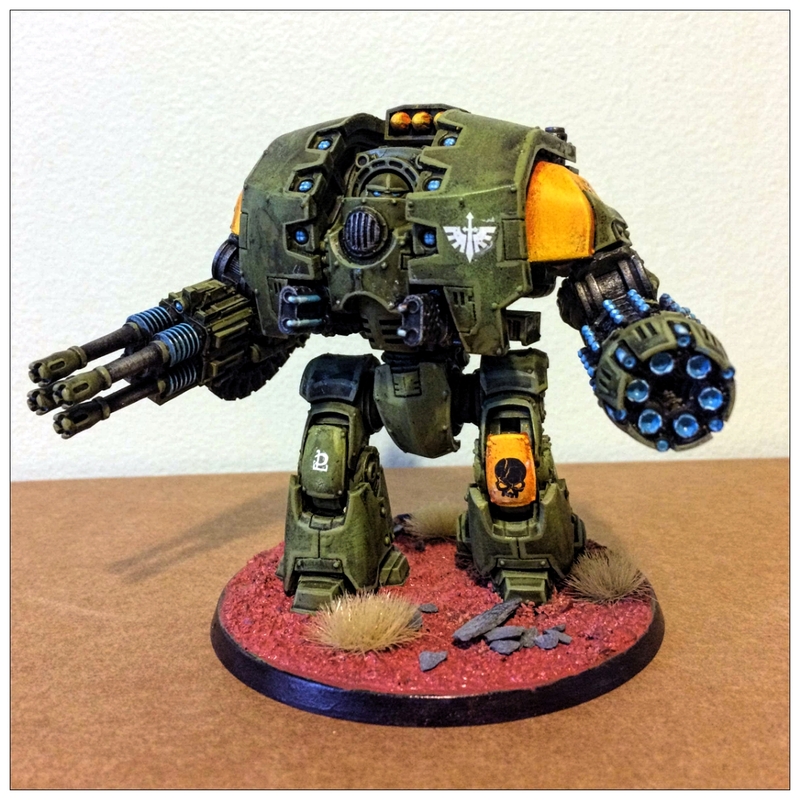 Scott Ferguson's Redemptor Dread is looking slick! 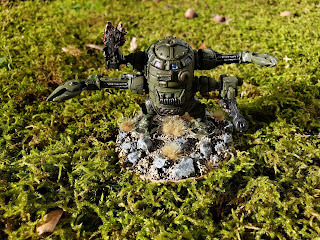 Rory (and company) over at Stepping Between Games have been putting up some awesome work! 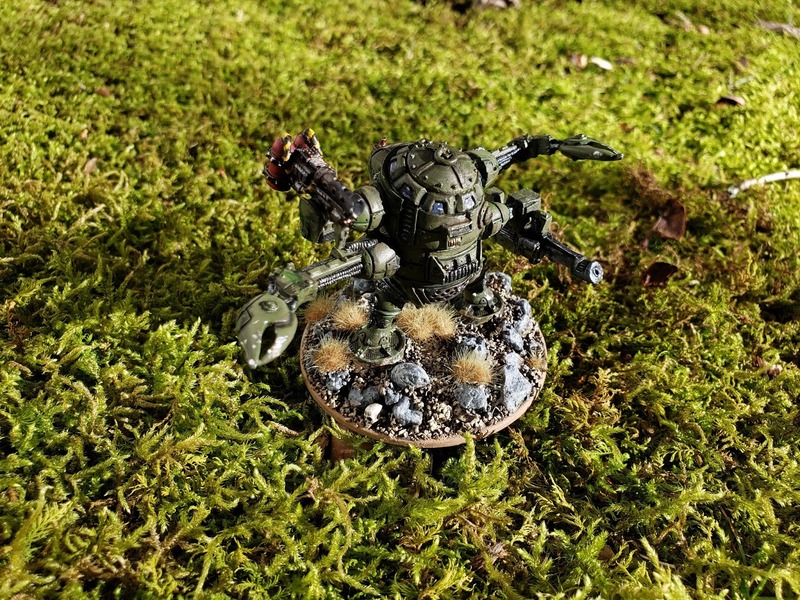 Blazmo's Converted 40k Skaven Sydonian Dragoon is a work of art! Really digging the starfield pattern Cylde is doing on his Eldar wraithlord! PHaughton's Salamanders Contemptor is built and ready for paint! 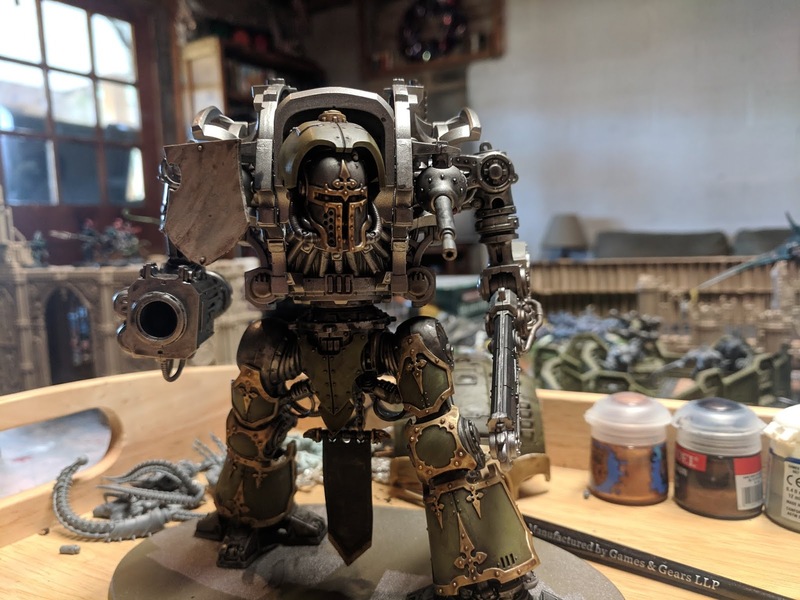 Evan B's Ravenguard contemptor is looking really sharp! 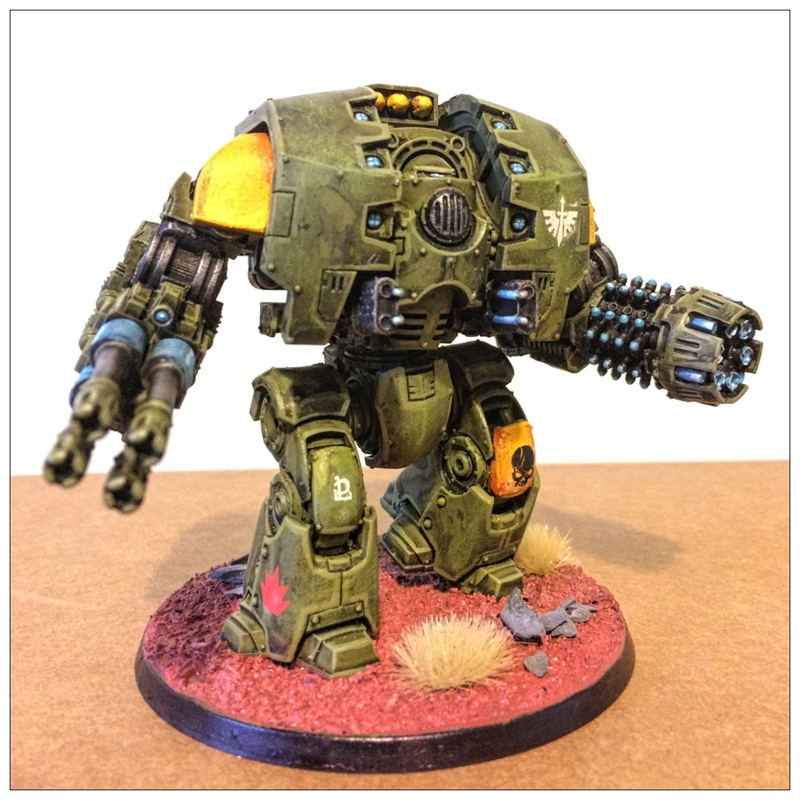 Dave's Redemptor dreadnought looks fantastic! 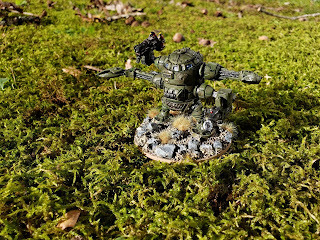 Joe Saves The Day's Knight towers over the battlefield! 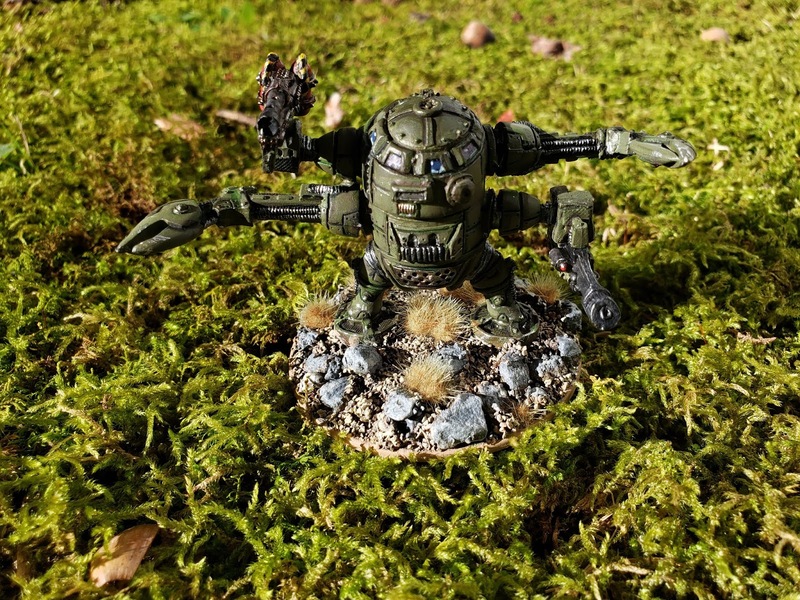 Eric Petersen's Armiger crosses the finish line! Neverness' Blood Axe Dreadnought is looking extra killy! Did I miss anyone? Let me know and I'll get the pics up on the post! 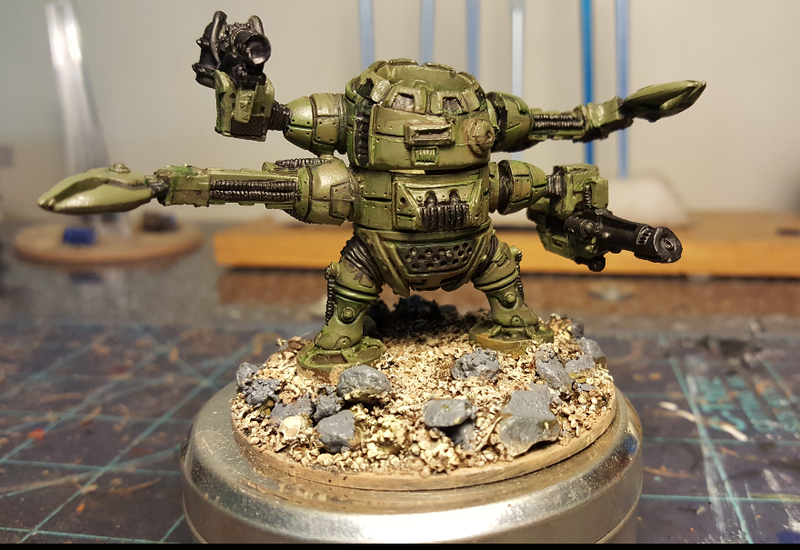 Dreadtober Week Two! Simply dread-full! 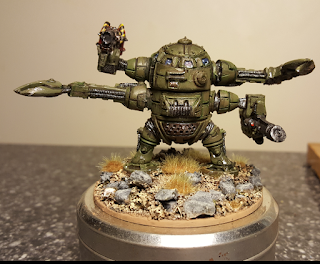 Neverness' Blood Axe Dreadnought Stops ever closer to the finish line! 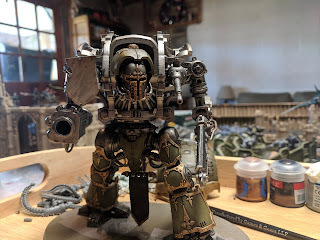 Dave M's Legio Custodes Contemptor-Galatus Dreadnought got a ton of shading and highlights! 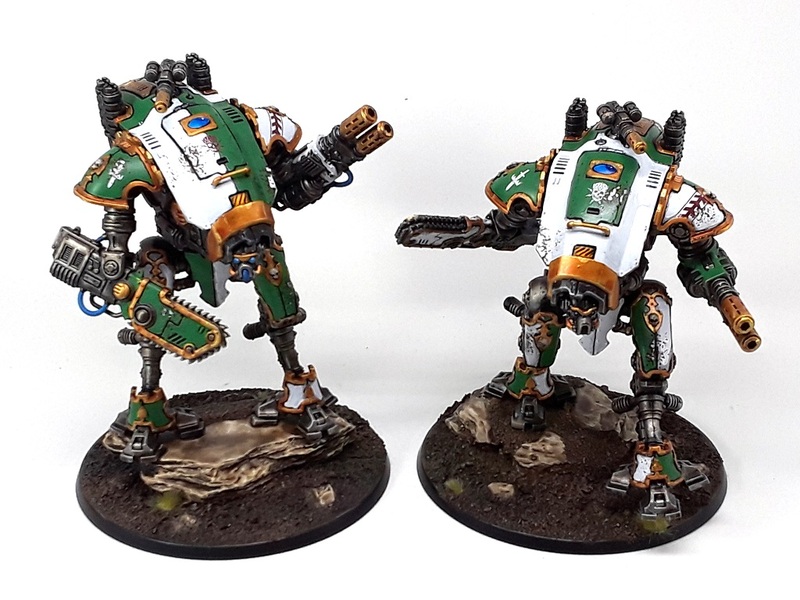 Name: Alexis W's Redemptor and Armiger are on the way! 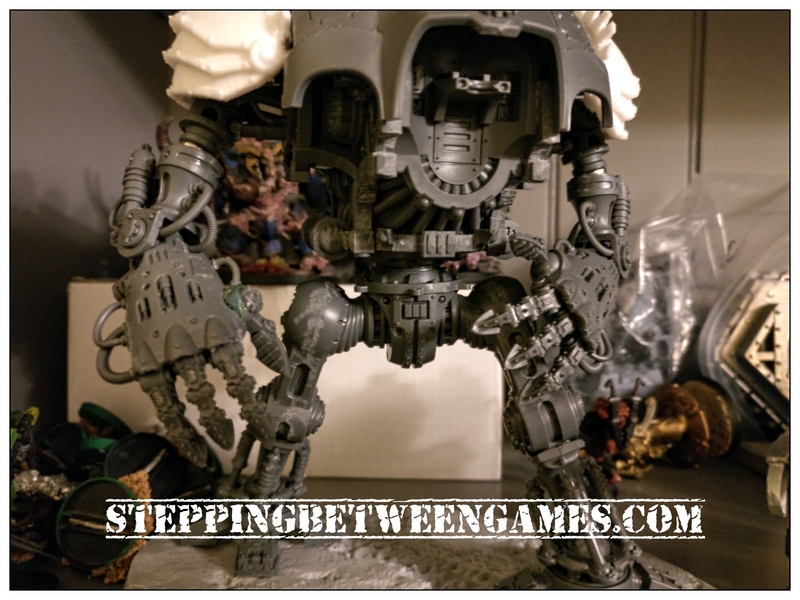 Name: Siph Horridus's Forge World SM Ironclad Dreadnought is... Halfway done. Hah! 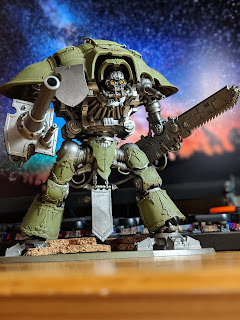 Name: Rejects of Anvilus (or Spinny on heresy30k)'s Death Guard Leviathan is looking gross, which is what ya want for a Death Guard model! 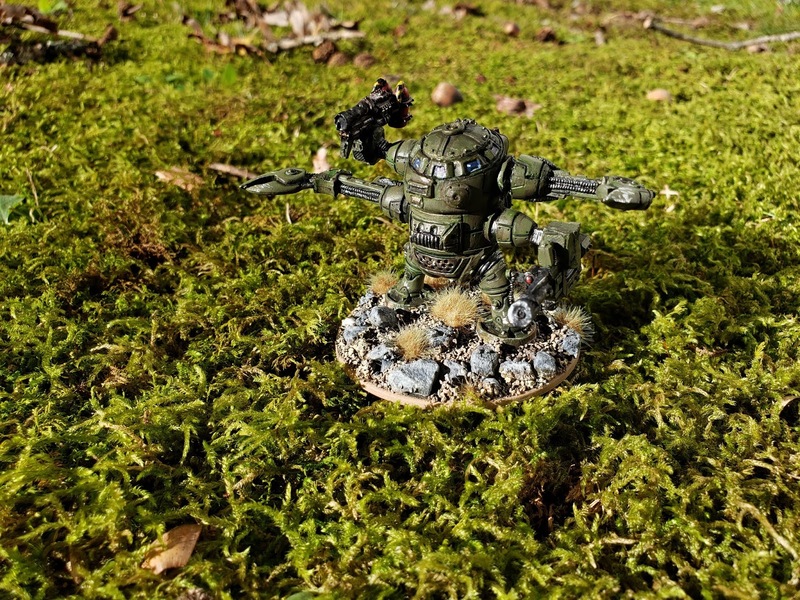 Name: Kevin David's old school Imperial Guard Sentinel is looking fantastic! 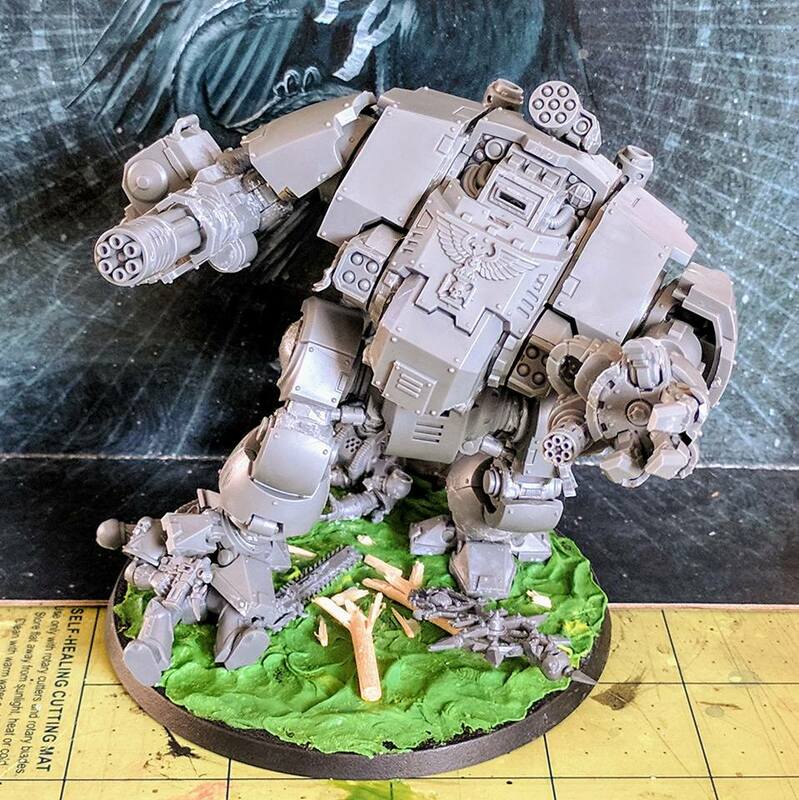 Name: Joe Kopena's Redemptor Dreadnought is looking super dynamic! Name: Kanneth Raymond crushed it with two of three models complete already! 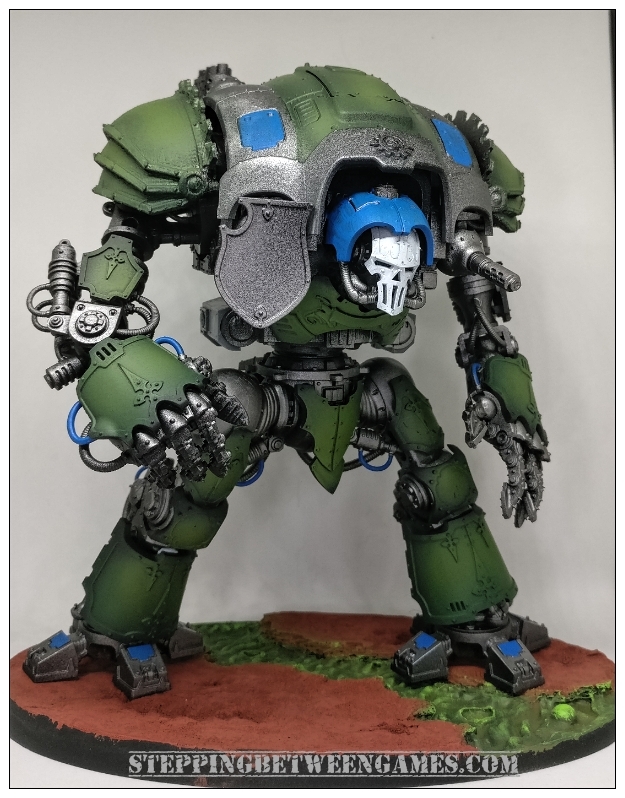 Name: Rory's Knight Gallant is going to be one brutal pugilist! 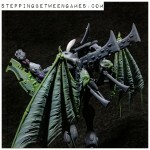 Name Cylde's Eldar wraithlord is looking spectacular! 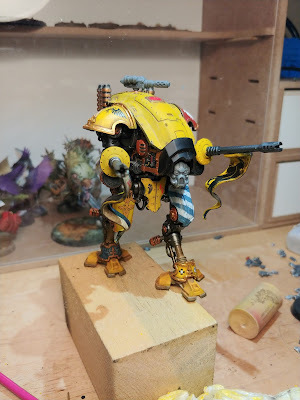 Name - Thomas' Old One Eye is going to be a beast! 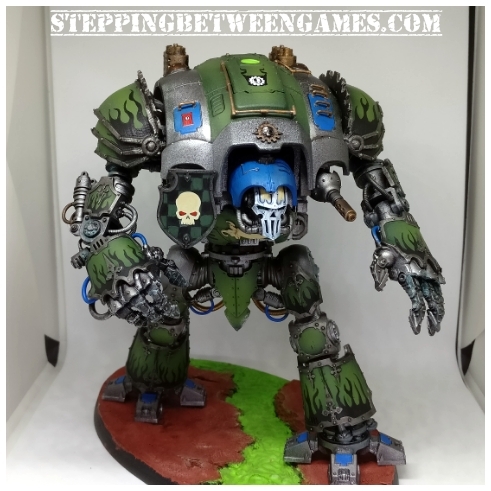 Name: Dave's Redemptor Dreadnought is stomping along! 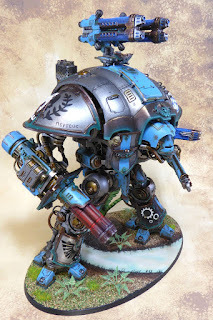 I'm really digging Erik's Hawkshroud Armiger Helverin (aka Shieldbane)! 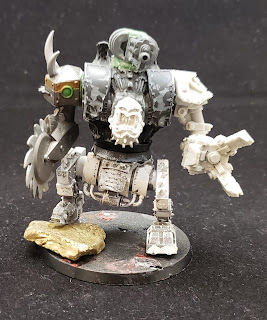 Grenn Dal's combo Orktober/Dreadtober project is lookin' proppa orky! Did I miss anyone? 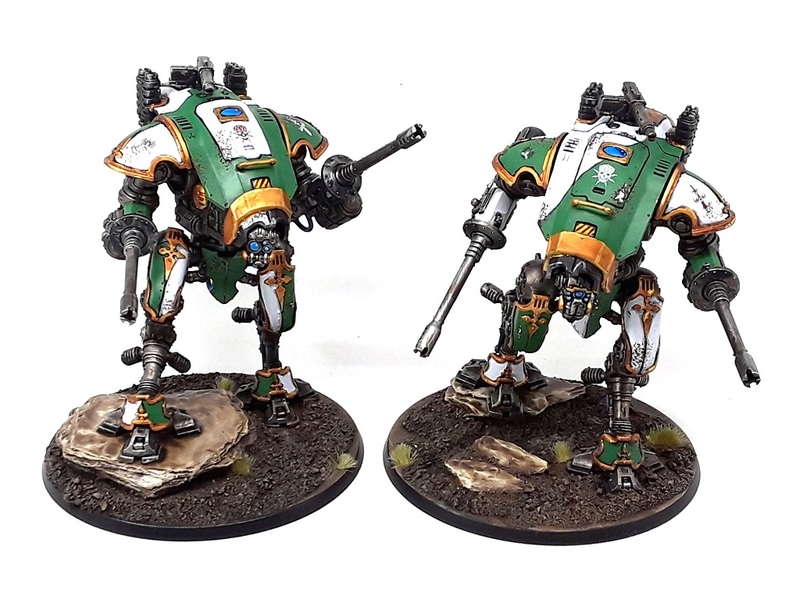 Drop a link in the comments below and I'll be sure to get 'em posted up. 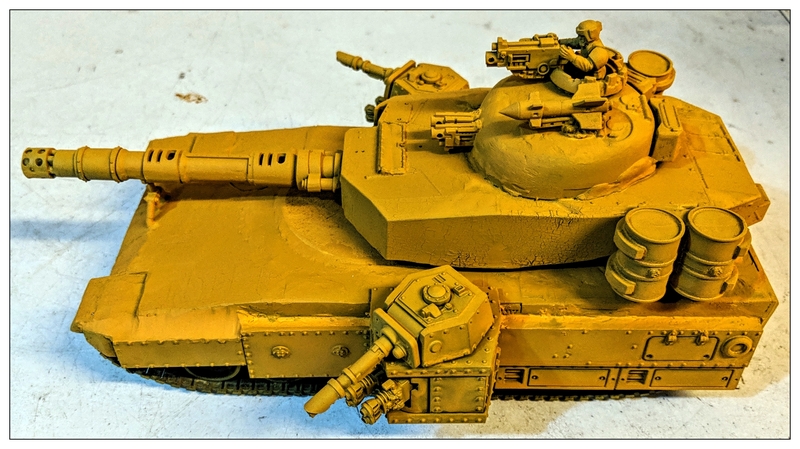 Awesome work everyone, tons of inspirational stuff this week - Keep it up! 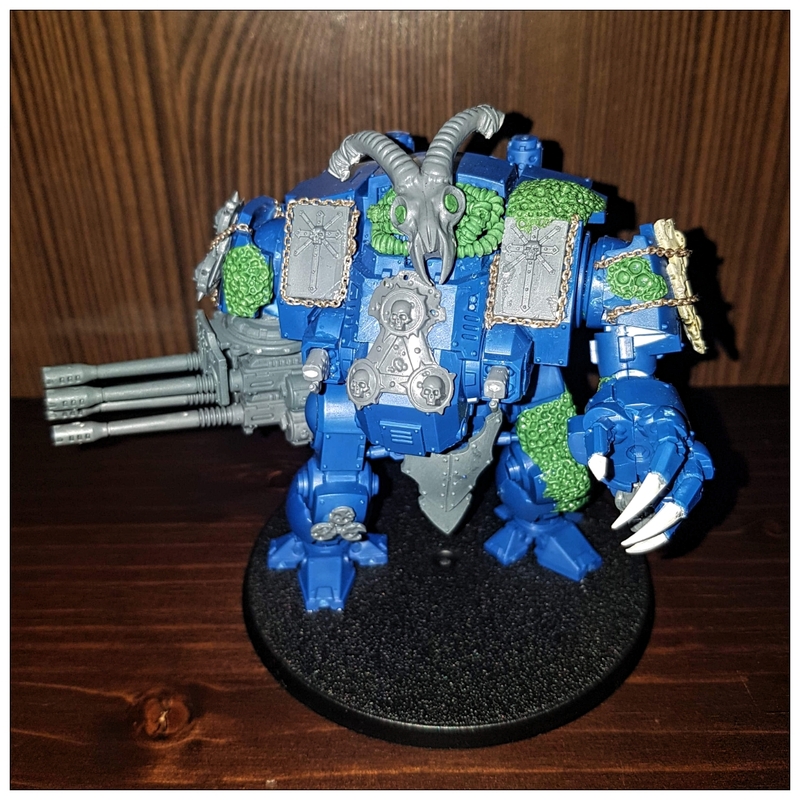 DreadTober First Week In !